Japanese tree lilac is native to northern Japan. It produces beautiful creamy-white blooms with a captivating fragrance spring through summer. It is used as a small tree or large shrub that forms a rounded crown with rich green foliage on attractive reddish-brown bark. Japanese Tree Lilac makes a perfect accent or background plant. It can be used as a Specimen tree as a focal point in the landscape. In addition, it lends itself to a street tree and adapts well to a variety of conditions. 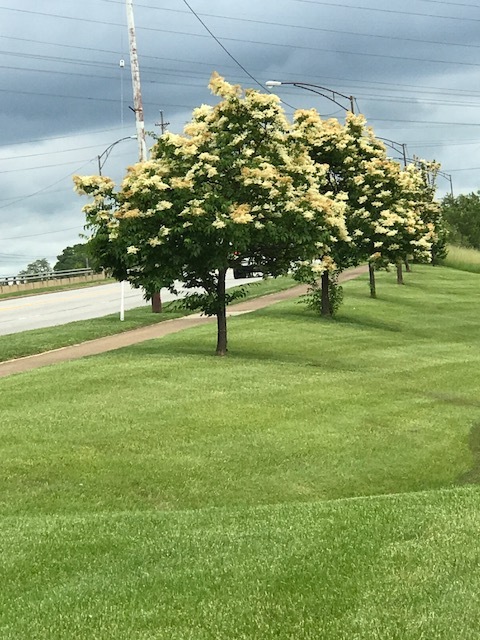 Syringa r. s. r. ‘Ivory Silk’, Ivory Silk Tree Lilac is a compact form, with huge creamy-white flowers and makes a great specimen or street tree.